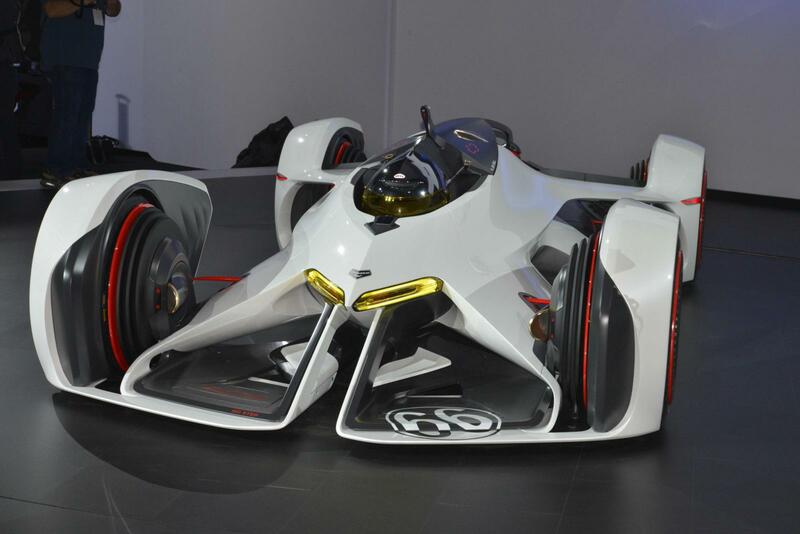 Η Chevrolet παρουσιάζει το Chaparral 2X Vision Gran Turismo concept στο Los Angeles. Το πρωτότυπο έχει σχεδιαστεί για να αποτίσει φόρο τιμής στα πρωτοποριακά αγωνιστικά που δημιουργούν εδώ και 45 χρόνια η Chevrolet μαζί με την Chaparral Racing. 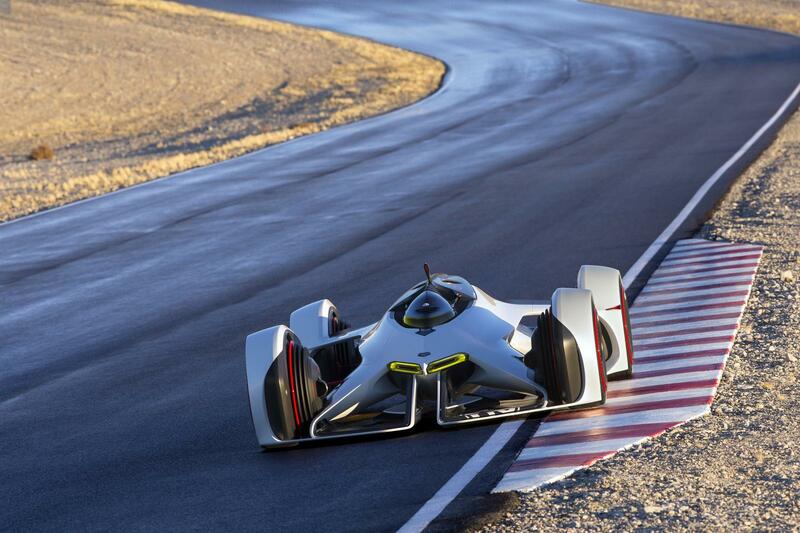 Το Chaparral 2X διαθέτει σασί από σύνθετα υλικά, ένα άκρως αεροδυναμικό σώμα και κίνηση παίρνει από ένα λέιζερ σύστημα πρόωσης που εμπνέεται από τα διαστημόπλοια και τα μελλοντικά αεροσκάφη. 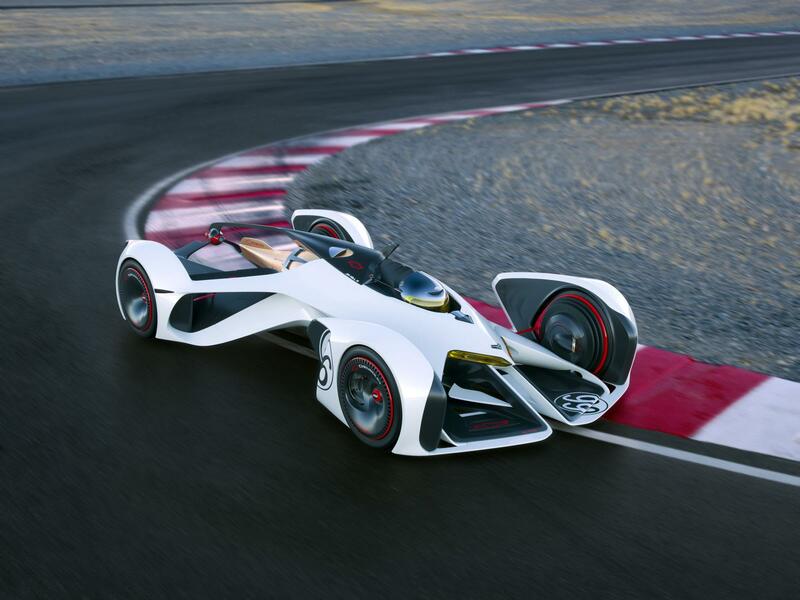 Όπως εξηγεί η Chevrolet, το σύστημα διαθέτει ένα σύστημα παλμών λέιζερ, δημιουργώντας κρουστικά κύματα που παράγουν τεράστια ώθηση. Το λέιζερ σύστημα τροφοδοτείται από μπαταρίες ιόντων λιθίου και μια ανεμογεννήτρια που βοηθά το αυτοκίνητο να παράγει 900 ίππους, δίνοντας το αυτοκίνητο τη δυνατότητα να κάνει τα 0-96 χλμ/ώρα σε 1,5 δευτερόλεπτο, έχοντας τελική ταχύτητα 386 χλμ/ώρα. 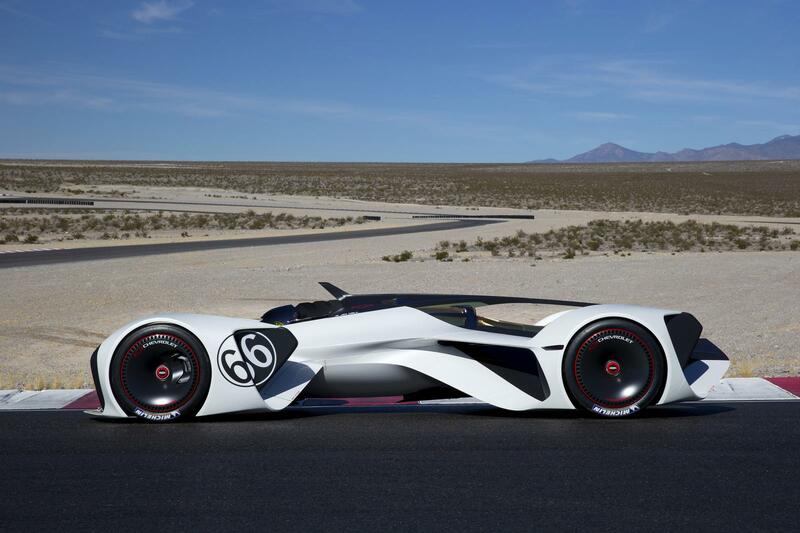 LOS ANGELES – Chevrolet today revealed the Chaparral 2X Vision Gran Tursimo (VGT) concept – a revolutionary interpretation of the ultimate race car, developed exclusively for fans of the PlayStation® 3 racing game, Gran Turismo® 6. 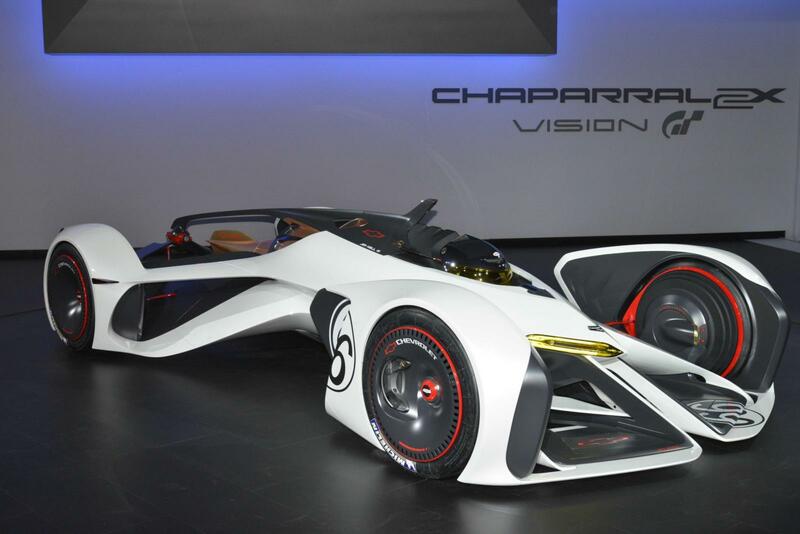 Developed as part of the Vision Gran Turismo project, which celebrates the future of automotive design and innovation, the Chaparral 2X VGT concept is inspired by the innovative race cars Chaparral Racing and Chevrolet partnered on more than 45 years ago. 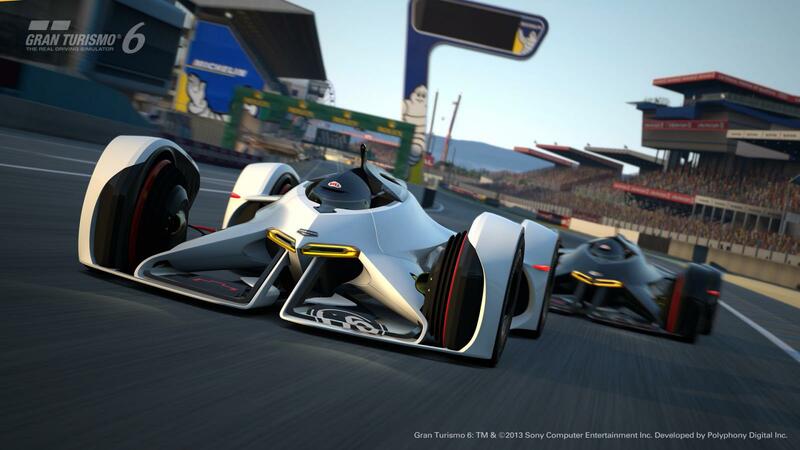 Gamers can race the Chaparral 2X VGT this holiday season by downloading an online update for Gran Turismo 6, the latest iteration of the best-selling PlayStation franchise that has sold more than 72 million copies worldwide since its 1998 debut. 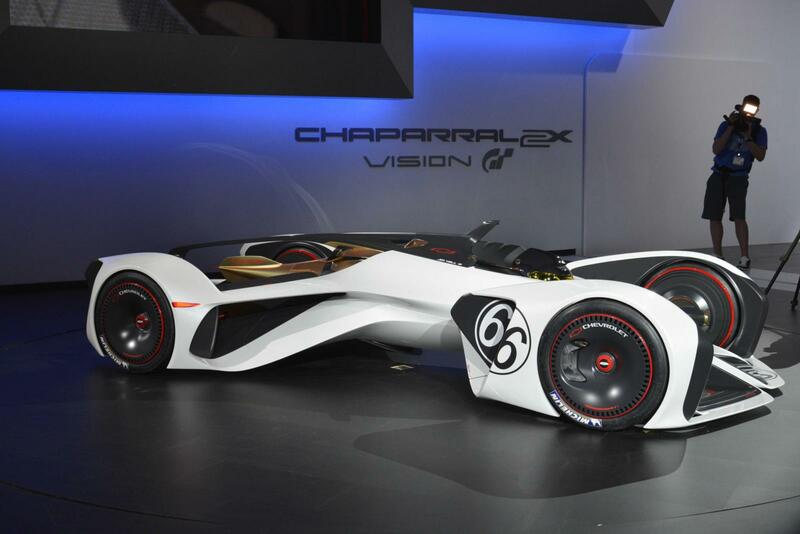 Known for unconventional, boundary-pushing race cars that shook up the motorsports world, Texas-based Chaparral Racing partnered with Chevrolet Research and Development more than 45 years ago, pioneering now-standard methods and materials used in contemporary racing and production vehicles, including the composite monocoque chassis, lightweight-alloy powertrain systems, automatic transmissions for racing and progressive, active aerodynamics. 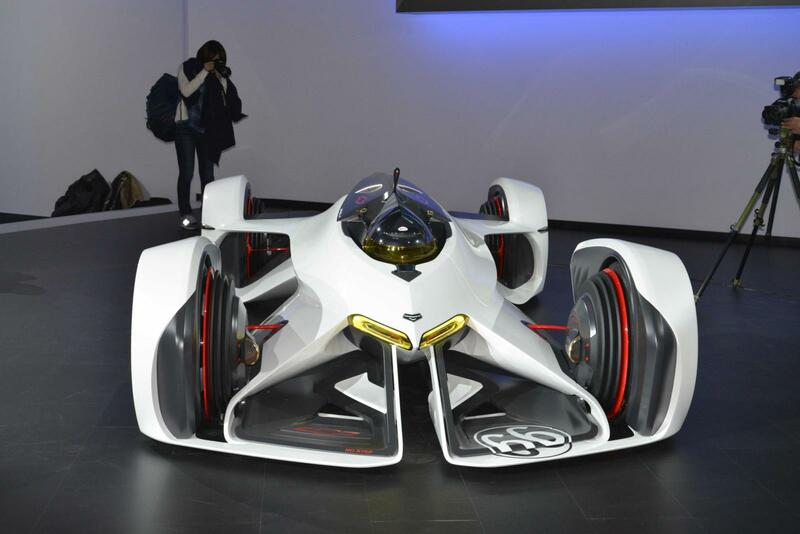 The partnership also spawned ground-breaking vehicle data acquisition technology. 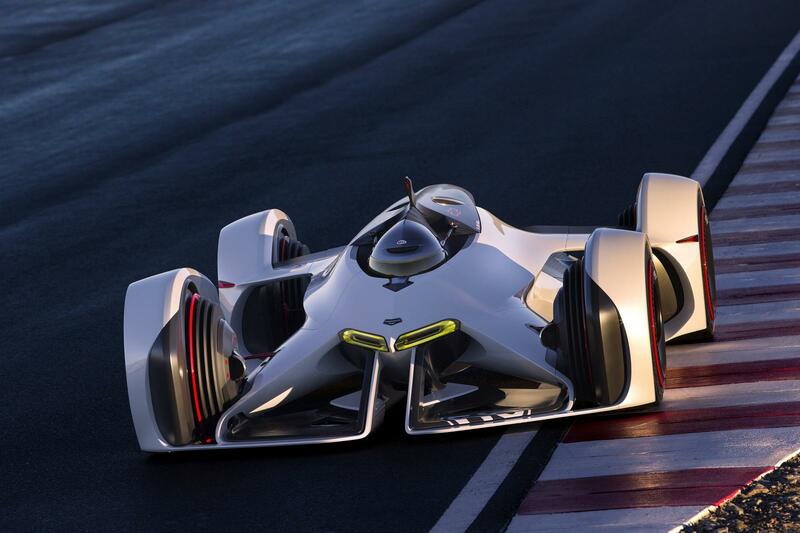 Chevrolet continues to use racing programs to test and develop new technologies and materials. 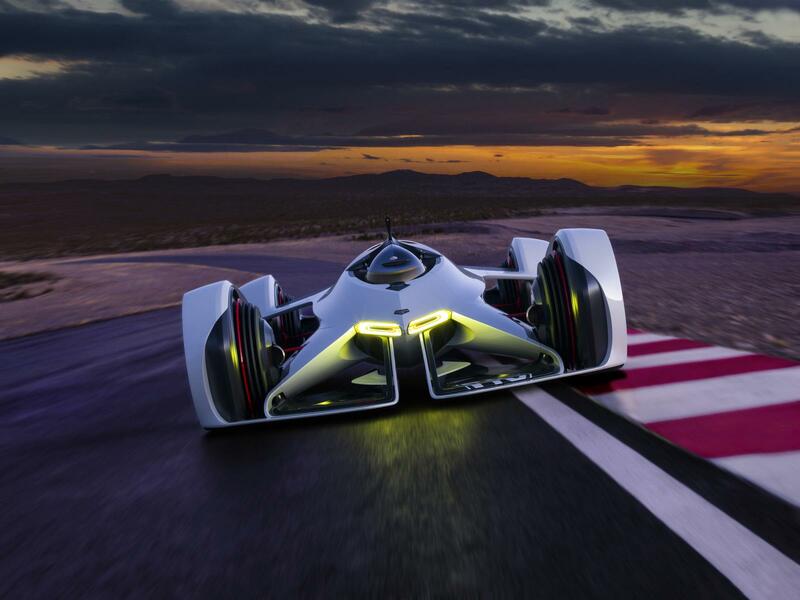 The Chevrolet Chaparral 2X VGT channels that spirit of innovation into a vision of what the future of racing could hold, with a radical form and an advanced, laser-based propulsion system. 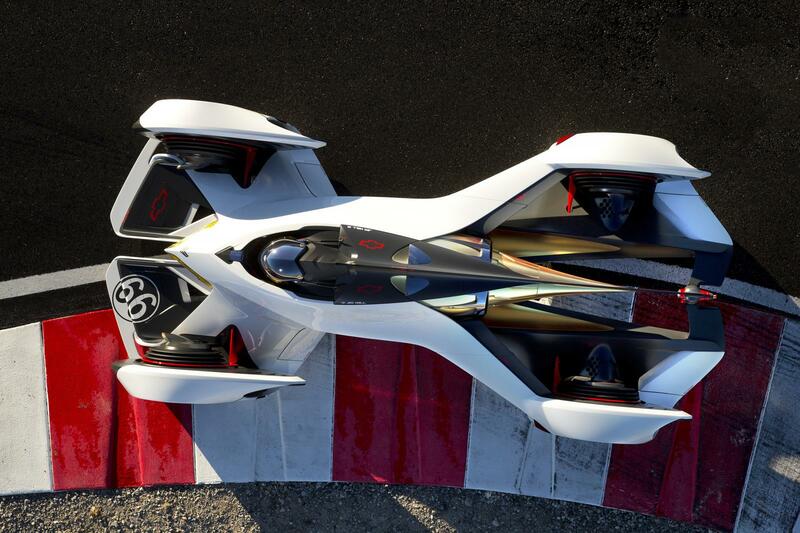 The Chaparral 2X VGT’s concept propulsion system is inspired by technology derived from advanced work targeted at space travel and future aircraft design. 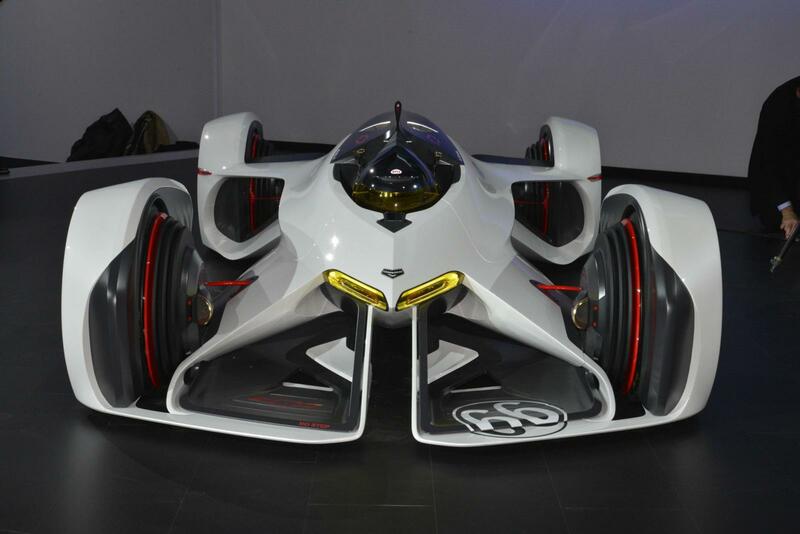 It features a mid-mounted laser beamed-energy propulsion system, which pulses beams of light that focus in a shroud, creating shock waves that generate tremendous thrust in the lightweight race car. 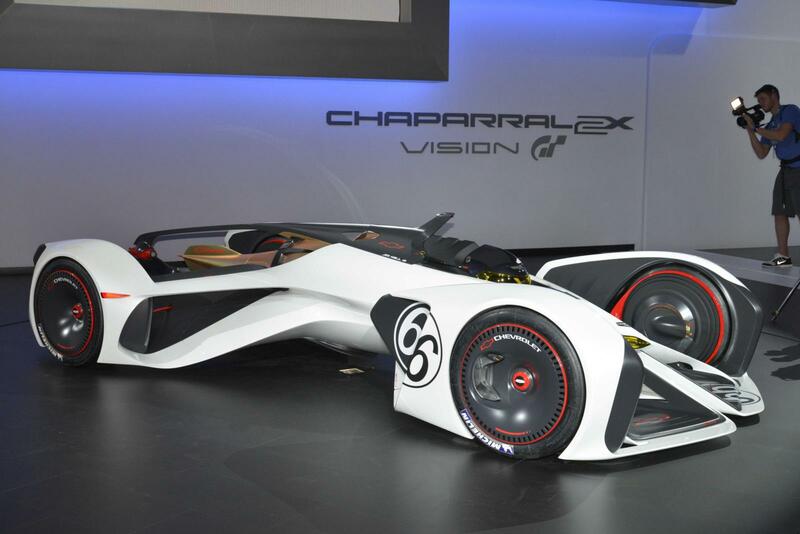 With a 671-kW laser, powered by a pack of lithium-ion batteries, and an air-powered generator to provide 900 horsepower worth of thrust, the Chaparral 2X VGT will be capable of a 240-mph top speed in the video game with 0-60 acceleration capability of 1.5 seconds. The propulsion system’s position in the composite chassis complements an unconventional yet highly active prone driver configuration – face down with the driver’s arms and legs splayed toward the wheels. 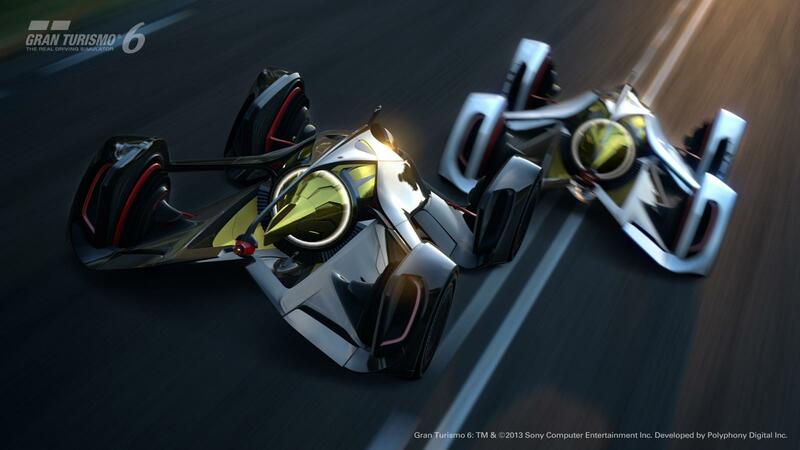 In fact, the race car’s propulsion and suspension systems are built around the driver, enabling progressive strategies of active and driver-adjustable aerodynamics. 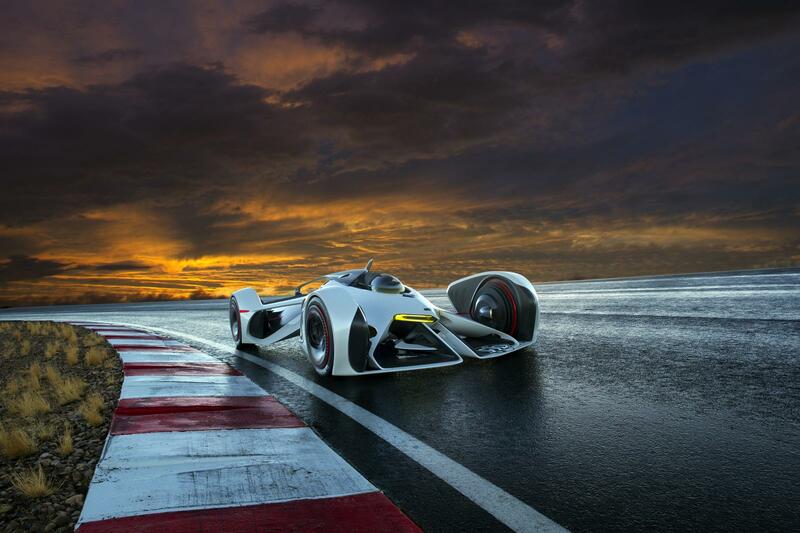 The driver-enabled aerodynamics eliminate the need for large, conventional wings and other aero devices used to generate grip-enhancing downforce – an attribute that helps reduce the overall mass of the Chaparral 2X VGT’s minimalist structure. 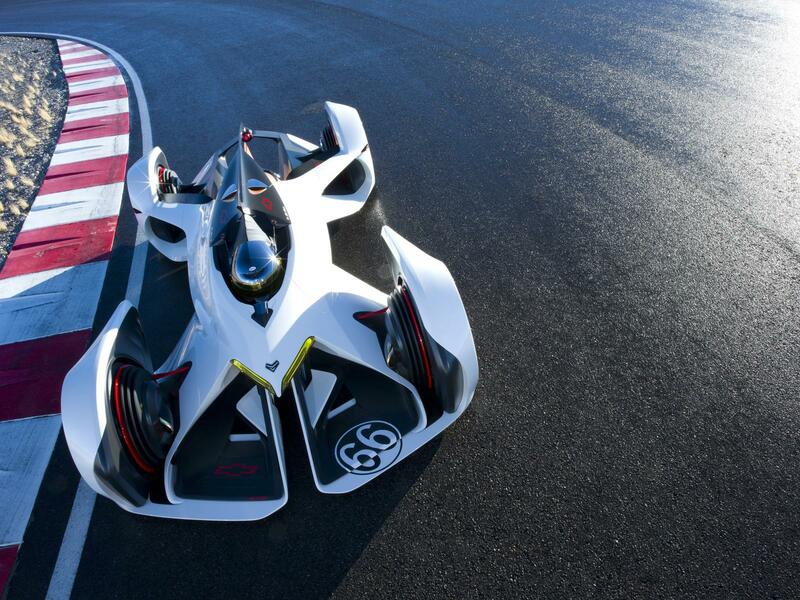 Only essential elements are on board, with instrumentation, for example, projected on the driver’s helmet visor. Additionally, lightweight chassis components reduce the sprung weight of the race car, enabling the car to provide tremendous cornering grip with a relatively small footprint. 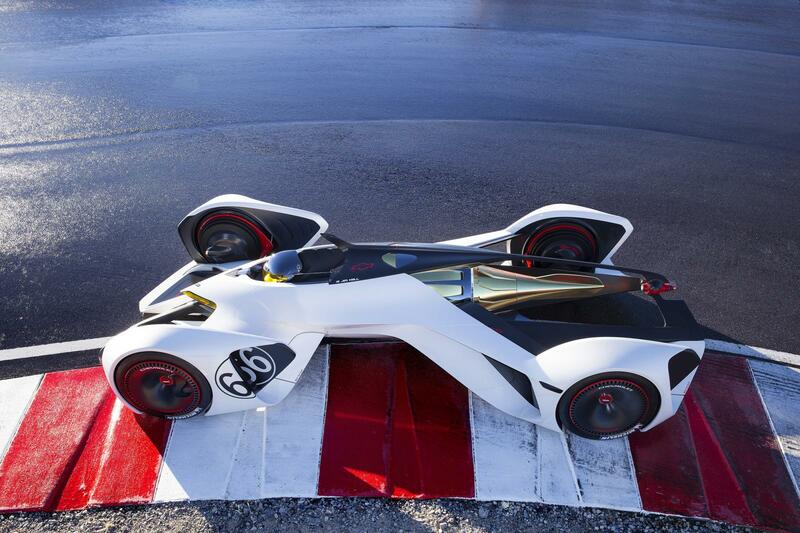 It rolls on 17-inch front wheels wrapped with racing tires. 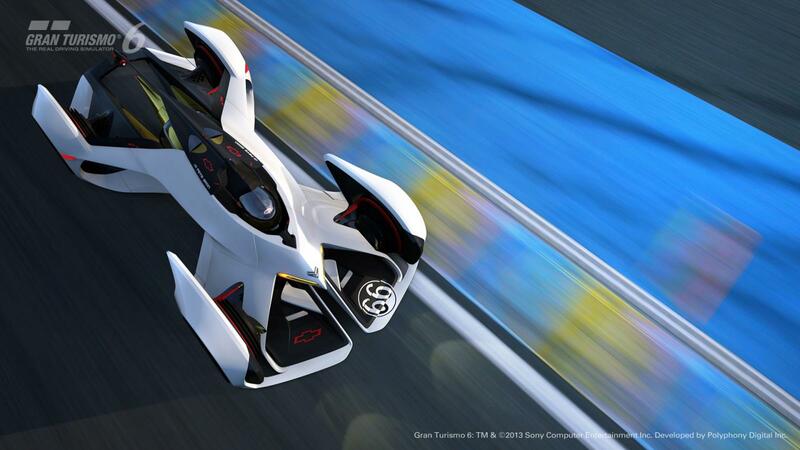 Other manufacturers have developed concept race cars for the Vision Gran Turismo project, but Chevrolet is one of the few to transfer it from the digital world to a physical concept vehicle. 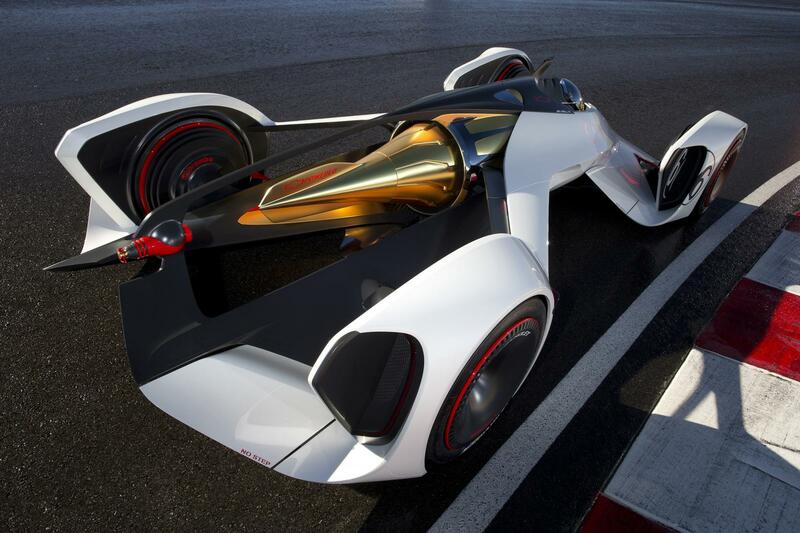 The Chevrolet Chaparral 2X VGT concept is on display at the Los Angeles Auto Show through November 30.